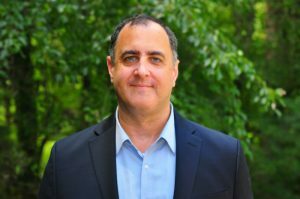 I’m Eric Brown and welcome to my political activity law website. Feel free to email me (eric[at]politicalactivitylaw.com) if you have a link or item of interest. I launched my site in 2008 to share my interest in political activity law. I view political activity law to include laws governing campaign finance and all forms of participation in the political process, whether action by individuals, corporations, unions, not-for-profit groups, and other groups of individuals. I closely follow campaign finance law, House and Senate ethics, gift, and travel rules, lobbying disclosure, foreign agents registration requirements, ballot access rules, election and nomination contests, and related topics. I have provided counsel to corporations, trade associations, candidates, non-profits, unincorporated groups, party committees, vendors, and individuals on compliance with these laws and rules and similar issues. Please do not hesitate to contact me if you have any questions about my background or experience. I’ve also enjoyed participating in a number of campaigns and recounts. I’ve served as General Counsel to a 2016 presidential campaign (Chris Cillizza, “Fact: Ted Cruz is running the best campaign of any presidential candidate,” Washington Post, Oct. 27, 2015; Robert Costa and Tom Hamburger, “GOP preparing for contested convention”, Washington Post, Dec, 10, 2015 (“The campaign of Sen. Ted Cruz (R-Tex.) seems to have mastered the intricacies of state ballot access rules and is said to have qualified in more than 40 states and territories, more than any other candidate.”); Ralph Z. Hallow, “Ted Cruz, Ben Carson, Jeb Bush lead GOP race to get on state ballots,” Washington Times, Nov. 18, 2015 (“Atop the ballot qualification leaderboard sits Mr. Cruz, who has qualified in 24 states and territories, has filed in 13 more and plans to register soon in three more states, according to campaign spokesman Rick Tyler. That would bring Mr. Cruz’s official filings to 40 states and territories.”), worked for a national political party, and volunteered for state and local candidates in New Jersey and Virginia. 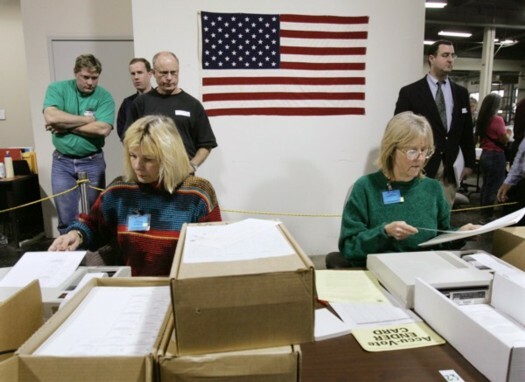 In 2004, I participated in the recount in the Washington state gubernatorial recount (pictured far right). In 2001, I was invited to participate in a mission to observe the presidential election in Honduras. The mission, organized by the International Foundation for Electoral Systems, was headed by Ambassador Myles Frechette and included a number of interesting participants from the U.S., Mexico, Guatemala, and other countries in the region. After arriving in Tegucigalpa, IFES representatives traveled to other areas of the country to observe the election.I traveled with a colleague to Tocoa, a city in the north. The IFES report generally concluded that the 2001 election met international standards. Please do not hesitate to contact me (eric[at]politicalactivitylaw.com) if you have any comments or questions about the site. September 7-8, 2017, 2017 PLI Corporate Political Activities: Complying with Campaign Finance, Lobbying, and Ethics Laws, Washington, DC. July 21, 2011, Presenter at Public Affairs Council’s “Tweeting without Cheating” Webinar, Washington, DC. March 14, 2011, The Sunlight Foundation, “Washington’s Lobbying Fix,” Washington, DC. October 25, 2010, Facebook Washington, “Campaigns and Social Media,” Washington, DC. October 19, 2010, Campaign Finance Institute/Miller Institute of Public Affairs, “Citizens United v. FEC,” Washington, DC. June 30, 2010, Speaker at Public Affairs Council’s Political Involvement Network Meeting, DISCLOSE Act, social media, and personal branding, Washington, DC. June 17, 2010, #140conf, “Exploring the State of Now: A platform for the worldwide twitter community to: listen, connect, share and engage with each other, while collectively exploring the effects of the emerging real-time internet,” Washington, DC. June 16, 2010, Digital Capital Week’s Nonprofit and Government Organization Day, Washington, DC. May 21, 2010, Speaker at the Grassroots Forum, “Social Media and ROI,” Washington, DC. April 19-20, 2010, Politics Online 2010, Numerous panels and keynote speakers addressing the use of technology in political and issue advocacy, Washington, DC. March 27-28, 2010, TransparencyCamp 2010, “Government representatives, technologists, journalists, developers, NGOs, wonks and activists… share knowledge on how to use new technologies to make our government transparent, accountable and meaningfully accessible to the public,” Washington, DC. February 24, 2010, Federal Election Commission, Roundtable on Travel Rules for Candidates and Political Committees, Washington, DC. February 4, 2010, The Heritage Foundation, The Impact of the Citizens United Decision on Federal Elections, Washington, DC. February 3, 2010, U.S. House of Representatives Committee on the Judiciary, First Amendment and Campaign Finance Reform after Citizens United, Washington, DC. February 3, 2010, U.S. House of Representatives Committee on House Administration, Defining the Future of Campaign Finance in an Era of Judicial Activism, Washington, DC. February 2, 2010, U.S. Senate Committee on Rules and Administration, Corporate America vs. The Voter: Examining the Supreme Court’s Decision to Allow Unlimited Corporate Spending in Elections, Washington, DC. December 2, 2009, Washington Legal Foundation, Honest Services Fraud Cases Before the Supreme Court – What to Expect and What is at Stake, Webinar, Washington, DC. November 20, 2009, ABA Business Section’s Government Affairs Practice Committee, “New Developments in Lobbying and Campaign Finance Law,” Washington, DC. November 14, 2009, DC BarCamp 2009, “Unconference” focused on educating participants on how to use, implement and share new media tools, Washington, DC. September 17, 2009, ABA Administrative Law Section, Lobbying the Executive Branch, Washington, DC. September 12-13, 2009, CongressCamp, “Transforming Citizen Engagement with Congress Through Social Media and Collaboration Tools,” Washington, DC. July 30, 2009, U.S. House of Representatives Committee on House Administration, A Look at HR 1826 and the Public Financing of Congressional Campaigns,” Washington, DC. July 29, 2009, Federal Election Commission, Website and Internet Communications Improvement Hearings, Washington, DC. July 22, 2009, Social Networking for Law Firms, Small Business Index, Washington, DC. July 15, 2009, Interactive Advertising Bureau, Webinar on Mobile Advertising, Washington, DC. May 8, 2009, Brennan Center, Money in Politics 2009: New Horizons for Reform, Washington, DC. April 10, 2009, Interactive Advertising Bureau, Political Advertising During the 2008 Campaign, Washington, DC. March 27-28, 2009, Government 2.0 Camp, “Unconference” about using social media tools and Web 2.0 technologies to create a more effective, efficient and collaborative U.S. government at the local, state, and federal levels, Washington, DC. March 3, 2009, Federal Election Commission, Conference for Candidate/Party Committees, Roundtable Discussion Leader, Washington, DC. January 14-15, 2009, Federal Election Commission, Hearing on Agency Procedures, Washington, DC. January 8, 2009, Brookings Institution, The Broken Branch, Panel with Norm Ornstein, Washington, DC. December 12, 2008, Factcheck.org’s On Message Conference, The Annenberg Public Policy Center, Washington, DC. December 8, 2008, Web 2.0, Election – Web 2.0 White House, Graduate School of Political Management, Washington, DC. April 18-20, 2008, DC PodCamp, “Unconference” focused on educating participants on how to use, implement and share any/all new media tools including, podcasts, videocasts, blogs, Facebook, and YouTube, Arlington, VA.
Antonin Scalia Law School, George Mason University School of Law, J.D. The Graduate School of Political Management at The George Washington University, M.A. A reminder: This site is solely for your general information and contains my personal commentary, as a private citizen, on matters of public concern. Links: Please note that I link to items from across the political spectrum. Links aren’t endorsements.